Hot dignity! 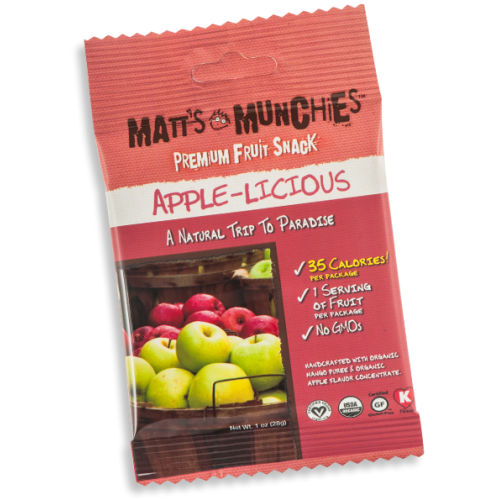 If these are being handed out to the little ghosts and goblins tonight I’m going trick or treating myself… Matt’s Munchies Apple-Licious Fruit Snacks are little slices of heaven. They come in a handy on-the-go pack (perfect for lunch boxes or stashing in the car) and these mini chewy fruit delights are super easy to eat – just peel off a square and munch away. Made with organic mango puree and organic apple flavor, they’re packed with Vitamins A and C and have eight grams of sugar. Try all of the tempting flavors – from Banana and Apricot to Chili Chocolate and Raspberry Delight. I’ll say it again, they’re darn tasty. Even better, they’re spook-a-licious! Happy Halloweeeeeeen!